One of the great media sensations of the late 1800s was the arrest and trial of Lizzie Borden, a woman in Fall River, Massachusetts accused of the gruesome ax murder of her father and stepmother. Major newspapers followed every development in the case, and the public was fascinated. Borden’s 1893 trial, which featured considerable legal talent, expert witnesses, and forensic testimony, in some ways resembled a trial a cable television audience today would find riveting. When she was acquitted of the murders, decades of speculation began. The case is still debated, and a great many people believe Lizzie Borden got away with murder. And in an odd twist, Lizzie Borden and the gruesome crime were kept in the public mind thanks to a rhyme that generations of American children learned on the playground. The rhyme went as follows: "Lizzie Borden took an axe, and gave her mother 40 whacks. When she saw what she had done, she gave her father 41." Lizzie Borden was born in 1860 to a prosperous family in Fall River, Massachusetts, the second daughter of a businessman and investor. When Lizzie was two years old her mother died, and her father, Andrew Borden, remarried. By most accounts, Lizzie and her older sister Emma despised their father’s new wife, Abby. As the girls grew older there were many conflicts in the household, many of them rooted in the fact that Lizzie’s father was a notorious miser. After attending public high schools, Lizzie lived at home. She was active in church groups and charitable organizations, typical pursuits for an unmarried woman who did not need to work. Despite the tensions in the Borden household, Lizzie seemed sociable and utterly ordinary to people in the community. On August 4, 1892, Andrew Borden, Lizzie’s father, left the house in the early morning and attended to some business. He returned home about 10:45 a.m.
Andrew Borden was on a couch in a parlor, the victim of a brutal attack. He had been struck numerous times, apparently with an ax or hatchet. The blows were strong enough to shatter bones and teeth. And he had been struck repeatedly after he was dead. A neighbor, searching the house, discovered Borden’s wife upstairs. She had also been brutally murdered. The original suspect in the murder case was a Portuguese workman with whom Andrew Borden had a business dispute. But he was cleared and attention became focused on Lizzie. She was arrested a week after the murders. A police investigation found the head of a hatchet in the basement of the Borden house, and that was assumed to be the murder weapon. But there was a lack of any other physical evidence, such as bloodstained clothing the perpetrator of such a bloody crime must have worn. Lizzie Borden was indicted for the two murders in December 1892, and her trial began the following June. Lizzie Borden’s murder trial probably would not be terribly out of place in today’s atmosphere of tabloid headlines and cable news marathons. The trial was held in New Bedford, Massachusetts, but was covered extensively by the major newspapers in New York City. The trial was noteworthy for the legal talent involved. One of the prosecutors, Frank Moody, later became the attorney general of the United States and also served as a U.S. Supreme Court Justice. And Borden’s defense attorney, George Robinson, was the former governor of Massachusetts. A Harvard professor appeared as an expert witness, an early instances of an expert witness being used in a major trial. Borden’s lawyer succeeded in getting damaging evidence, such as the fact that she had tried to purchase poison in the weeks leading up to the murder, excluded as inadmissible. And Borden’s defense focused on the lack of physical evidence tying her to the murders. Lizzie Borden was acquitted of murder on June 20, 1893, after the jury deliberated for less than two hours. Following the trial, Borden and her sister moved into another house, where they lived for many years. Though the respectable citizens of Fall River tended to shun Lizzie and her sister, traveling actors and musicians frequented their house, leading to various rumors about the lifestyle of the sisters. Lizzie Borden eventually died on June 1, 1927. 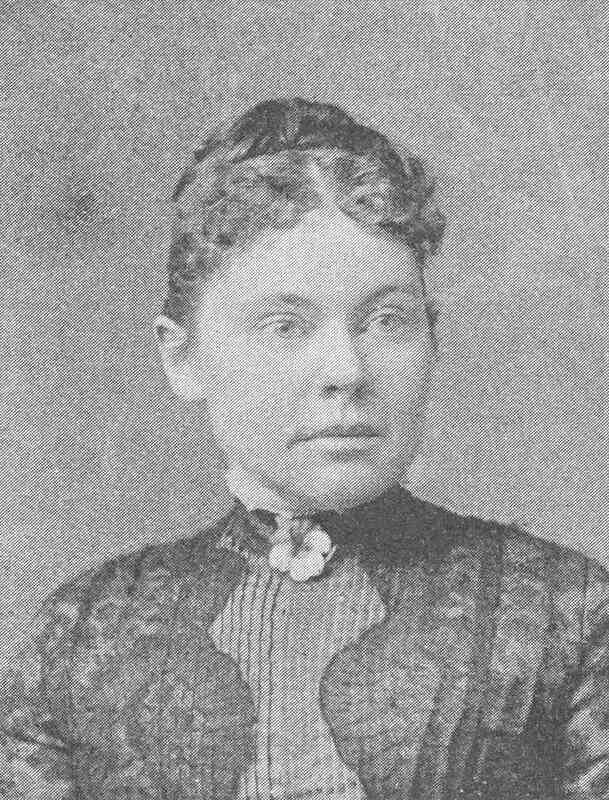 Articles and books about the Lizzie Borden case have appeared since the early 1890s, and any number of theories have been advanced about the murders. Lizzie's father had an illegitimate son, and some believe he may have been the real culprit. And as Andrew Borden was known to be a miserly and unpopular character, it's very likely he had other enemies. The Lizzie Borden case was a landmark in the sense that it provided a template for later tabloid stories: the case involved a very bloody crime, an unlikely defendant, rumors of family strife, and a verdict that left unanswered the question of who committed the murders. Incidentally, the famous playground rhyme about Lizzie Borden, which apparently did not appear in print until decades after the murders, was inaccurate in several respects. The female victim, Abby Borden, was Lizzie's stepmother, not her mother. And it also greatly exaggerated the number of blows from the murder weapon. But the rhyme did keep Lizzie's name in circulation for decades after the bloody murders in Fall River.